S toodle is a free tool where users can join an online classroom by simply sharing an URL. 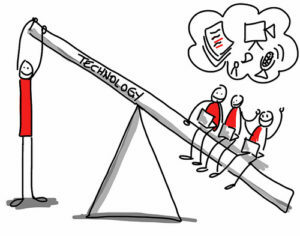 It offers real time collaboration and communication, multiple users can work on the same virtual whiteboard at the same time through text chat and voice conferencing using their computer’s microphone. They also can type, draw, and search and upload images. Stoodle is supported by the CK-12 Foundation. It is a virtual board that allows for asynchronous and synchronous communication as well as backchanneling. 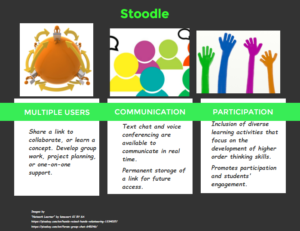 If you feel that your students are passive participants in the learning process, Stoodle promotes participation and engagement, it works great for group work and project planning, one-on-one support, providing feedback and tutoring. Teachers and students can share resources and interests, brainstorm and clarify ideas, extend class discussions, and keep track of resources for a project. Because Stoodle is web-based you don’t need to worry about server space at school, and students can access this resource from any computer–at home, at school, or the public library. Substitution: ELL Students use Stoodle to work collaboratively to answer a common question, instead of a whole group discussion. Augmentation: Students combine images, audio, and text on a Stoodle board to support their understanding of new vocabulary. Modification: Students can share feedback in real time on a Stoodle board. They can make comments and ask questions to peers and teachers (via text chat), for instance, when working on a science task of labeling a diagram. 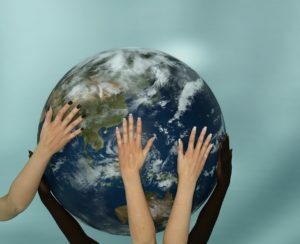 Redefinition: When sharing the Stoodle link, students can connect with other students in a different school or place in the world to collaborate on a common learning task (e.g., an interview). Math: 3rd grade Math. Reason with shapes and their attributes. 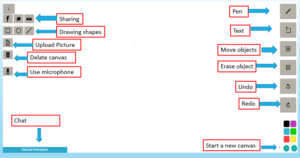 CCSS.MATH.CONTENT.3.G.A.1 Students will use Stoodle to upload images or draw examples of different shapes and write attributes of those shapes. Science : 4th grade Science. Photosynthesis Cycle. After building background knowledge about the process of photosynthesis; students will work collaboratively in a small group using Stoodle to make a diagram with labels and pictures about this cycle. They will use the text chat to clarify ideas and provide feedback. English/Language Arts: 2nd grade ELA. Students will create a virtual whiteboard about a character from a story. They will share their knowledge about the inside and outside traits of a character. They will organize sentences around a Stoodle board (by moving around the text boxes) to create a diagram of the inside and outside traits of a character. English / Language Arts: 4th grade. ELL students (beginning English level). After listening to a story in school, students will meet virtually out of class (for homework) using Stoodle to create a board about the elements of the story (e.g., characters, problem, setting, solution). Social Studies /ELA: 3rd grade Biography unit. Students will work in a small group project using Stoodle to create a Timeline of a historical character. They will meet virtually in school and after school to work together by adding pictures, important dates and short sentences explaining important events in the life of a famous person. Copy and paste the URL to invite people to your class. You can also send the link using the embedded sharing buttons of Facebook, Twitter or email. Allow your computer microphone to access audio conference, and allow your computer camera to upload video. The tools on the right side of your canvas are for drawing, inserting text, erasing objects, undo and redo functions. The tools on the left are for sharing your Stoodle URL, inserting shapes, uploading images and documents, clearing the whole project, and using microphone. The uploading images and documents buttons allows you to access files from many different places beside your computer, including Web Images, Facebook, Twitter, Dropbox, Google drive, etc. You can also take a picture or record video by authorizing your web camera. You can create multiple pages (or canvas) by adding a new one with the arrows located at the lower right corner. Knoef, M. (2015). Supporting pre-service teacher’s technological pedagogical knowledge integration through technology-enhanced lesson planning. Bower, M. A Typology of Web 2.0 Learning Technologies.